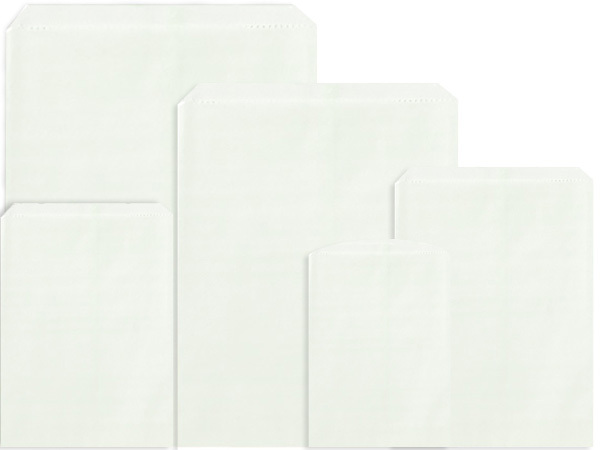 White Kraft Paper Merchandise Assortment contains 400 bags total: 100 ea: 6-1/4 x 9-1/4" (MB1), 8-1/2 x 11" (MB2), 12 x 15" (MB3), 14 x 3 x 21" (MB5). Papers used in this product complies with FDA regulations for food packaging. Made in the USA.